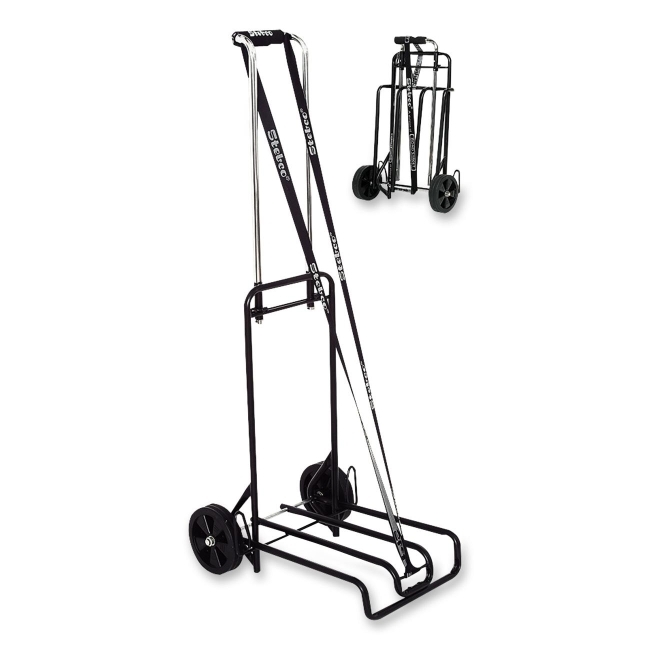 Luggage cart features a heavy-duty steel frame that holds up to 250 lb. Durable ball-bearing, 6" wheels roll smoothly. Pull easily with 44-1/2" handle extension. Design features chrome trim, a button release bar and elastic safety cord so no clips or hooks. 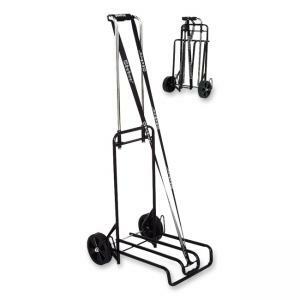 Luggage cart folds easily for compact portability. Platform measures 12" x 12". Cart weighs 8 lb.